Nobody knows what happens after you die, but everyone has some idea of what they want to do with their bodies after they’ve passed on to the other side. There is an option for everyone’s death discretion—whether it be a natural burial, donating your body to science or medicine, cremation, planting your ashes with a tree, making them into gems, a vinyl record, an eternal reef, or even shooting your ashes into outer space. With so many alternatives to traditional burials, I think it’s about time we as a society stopped using cemeteries. 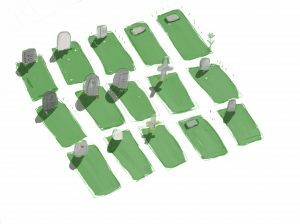 Graveyards are a wasteful and antiquated concept as well as being harmful for the environment. People have been burying their loved ones in caskets since time immemorial—but methods of body disposal have changed and evolved since then, so it seems logical to me that we keep up with the times. Cemeteries often take up a lot of land that could be used for people who are alive and could actually use it. This is land that could have been used to build housing for students or people in need, schools, or literally anything productive, but they’re full of dead people. Additionally, because of people’s silly superstitions and the havoc burials wreak on the environment, once graveyards are established, the land can’t be used for anything else. Burying dead bodies has been part of our society for so long that people don’t twice about the consequences or the toll it could have on the environment. Turns out the chemicals that are used for burials in both the body and casket are incredibly toxic. For instance, formaldehyde, glycerin, and phenol are all ingredients used for embalming. The fumes of these chemicals alone are enough to irritate the eyes, nose, skin, and throat. Furthermore, formaldehyde is a potential carcinogen and lethal in high concentrations, and phenol is toxic if ingested, so it’s probably not good that these things are being put into the soil and contributing to groundwater pollution. Even more concerning, according to an article published by Berkeley Planning Journal, about 827,060 gallons of embalming fluid are buried with the dead in the US every year. It’s not only chemicals we have to worry about being put in our soil—think of all the materials we bury in cemeteries every year. It has been reported that an estimated 14,000 tons of steel vaults, 90,272 tons of steel caskets, 2,700 tons of copper and bronze caskets, 1,636,000 tons of concrete vaults, and 30 million board feet of hardwood caskets are buried in the US every year. I understand that burials are a religious practice for many, but natural burials are a better and less invasive alternative. Another problem plaguing cemeteries is that there isn’t enough room to bury everyone who dies. Cemeteries in Canada are running out of space and a 2013 survey found that nearly half of the graveyards in the UK will be filled to capacity in the next 20 years. Considering the consequences that come with using cemeteries, I think everyone should seek alternative means for their final resting place. Everyone is going to die one day but we’re not getting any more land, so consider a less invasive or more eco-friendly method for your disposal.